Do you search for reasons to avoid Instagram? Perhaps Twitter has you chirping instead of tweeting. Or maybe you think Facebook is something you get at the library? 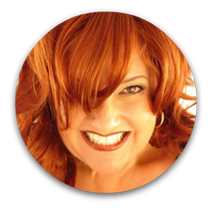 Stop your worrying...Karen Michaels, our social media guru, has got you covered!! A certified expert at all things "social," Karen understands ALL the ins and outs of Instagram, Facebook, Twitter, LinkedIn, Pinterest, and more, and knows how to truly leverage their power...she has the knowledge and experience to help you go from zero to Social Media hero in as little as 30 days, with insights and results you can actually see!